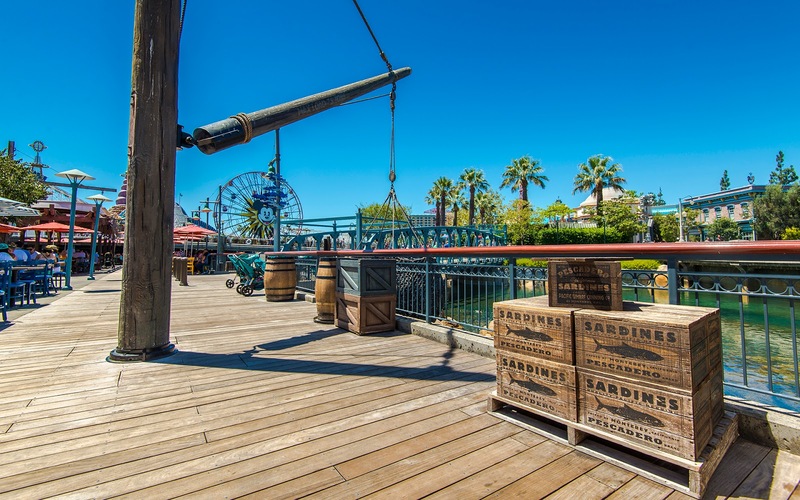 This particular shot at Pacific Wharf isn't of any particular subject, except for the stack of sardine boxes. But I like the perspective it imparts, and the blue skies and bright sunny ambiance are certainly lovely. To me, this is an example of the little things that make for bliss at Disney parks. Along the dock at Pacific Wharf.